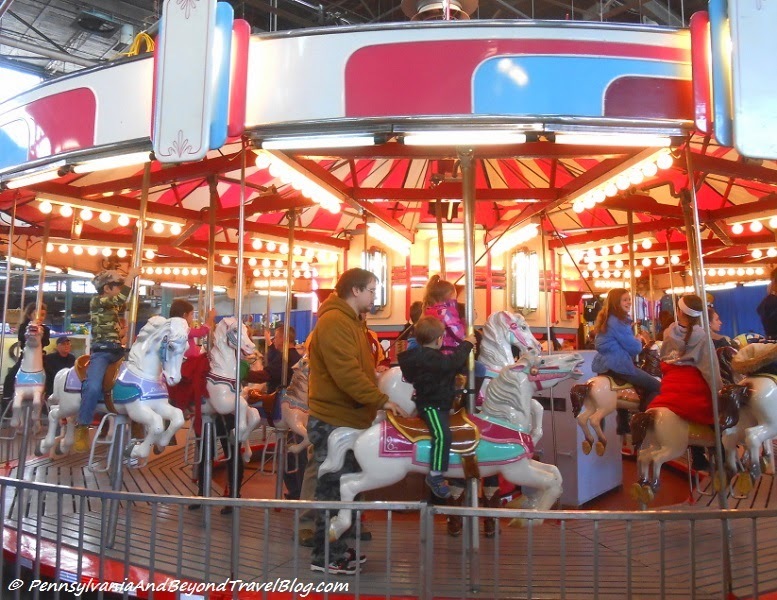 Every year visitors to the Pennsylvania Farm Show Complex & Expo Center marvel at the beauty of the Merry Go Round that is located in the Main Hall. The PA Farm Show is one of the largest events here in south central Pennsylvania and attracts thousands of visitors from all over the area every year. 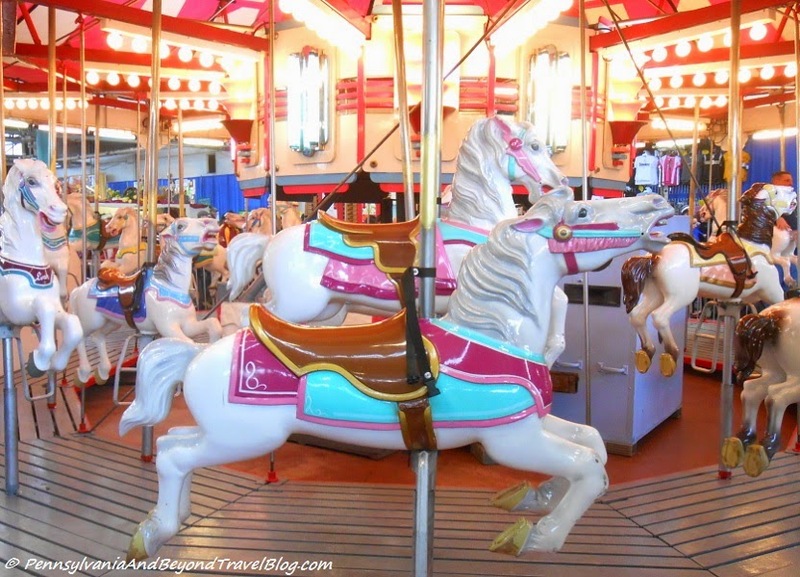 The art deco style carousel was manufactured by the Allan Herschell Company in 1946 and was purchased by S & S Amusements and is housed in North Tonawanda (outside of Buffalo), New York. It is used throughout Pennsylvania, New York and the neighboring states at carnivals, fairs and expos. 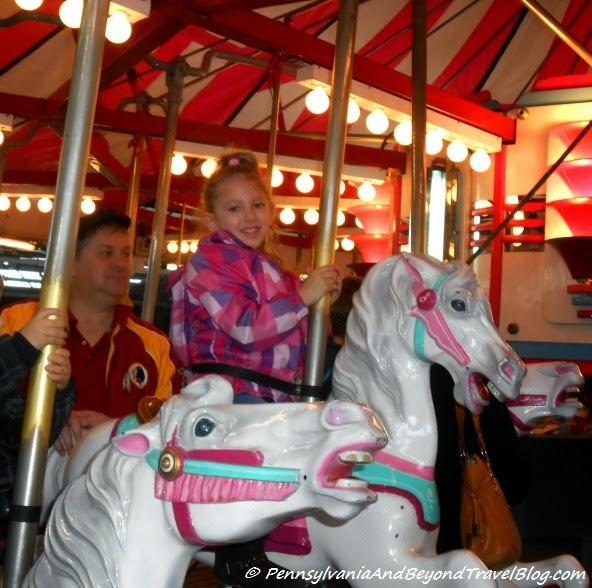 The Pennsylvania Farm Show Merry Go Round is 60 years old and features 30 carousel horses and 2 chariot bench seats. Rides cost $2.00 per person. It first opened to the public back in 1946 and millions of riders have enjoyed it over the years. The Allan Herschell Company specialized in manufacturing amusement rides, roller coasters and beautiful carousels (merry-go-rounds). The majority of these rides were designed to be portable and were used by traveling carnivals all over the United States. 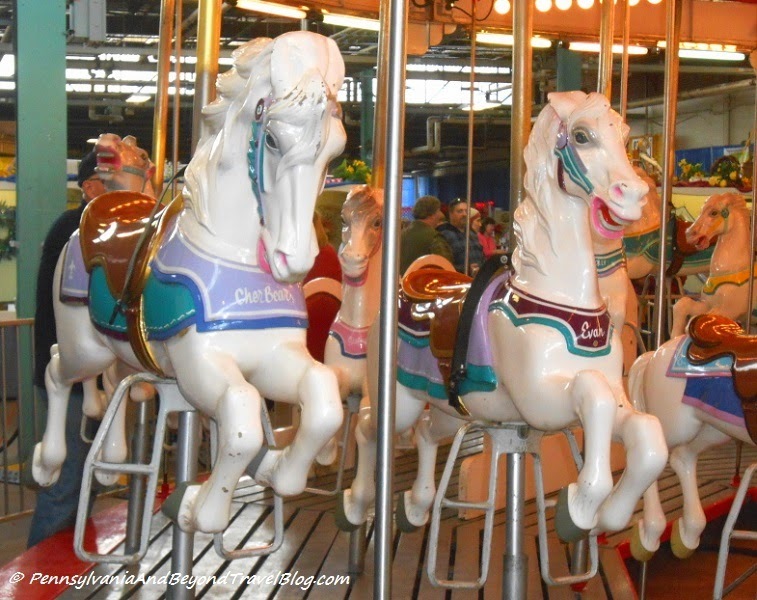 The company is famous for their amusement rides and now you can learn the history and see some of these vintage rides by visiting The Herschell Carrousel Factory Museum in New York. This is a seasonal museum, so check out their web site for their hours of operation and driving directions. * Note: The photos featured in this post were taken by us at the 2015 Pennsylvania Farm Show.